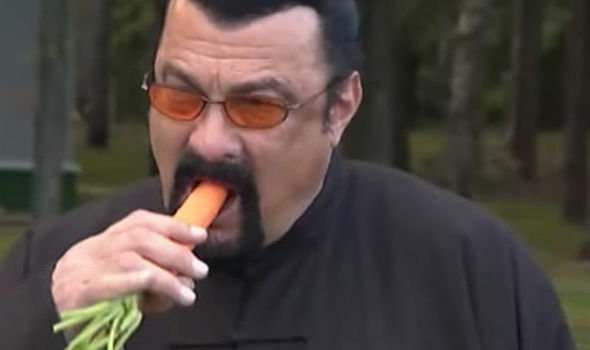 Steven Seagal under investigation for new sexual assault case. Police have presented three more criminal investigations of alleged sexual assaults by Hollywood celebrities — former action star Steven Seagal, “black-ish” actor Anthony Anderson and disgraced producer Harvey Weinstein, prosecutors confirmed Thursday. The Los Angeles District Attorney’s Office confirmed it was presented the latest case against Weinstein by the Beverly Hills Police Department in June. No specifics of the case were released. Prosecutors are already reviewing two other Beverly Hills cases to determine if any criminal charges are warranted, along with three others presented by the Los Angeles Police Department. No details were released about the cases involving Anderson and Seagal after they were presented on Wednesday, District Attorney’s Office spokesman Greg Risling told City News Service. Both remain under review. The 48-year-old Anderson previously faced sexual assault allegations back in 2004 in a case that was later dropped. In March, Faviola Dadis, a one-time aspiring actress, held a news conference. alleging that she was sexually abused by Seagal in a Southland hotel room during what was supposed to be a film audition. It wasn’t clear whether the case presented Thursday stemmed from Davis’ complaint. Actresses Portia de Rossi and Julianna Margulies also previously accused Seagal of misconduct.